Interested in seeing firsthand what the minds of our future generation are capable of creating? If so, join State College Community Land Trust and Penn State University for a guided walking tour of their GreenBuild Duplex in State College on May 23rd! These two buildings were designed by Penn State students as part of US Dept. of Energy’s Race to Zero Competition. 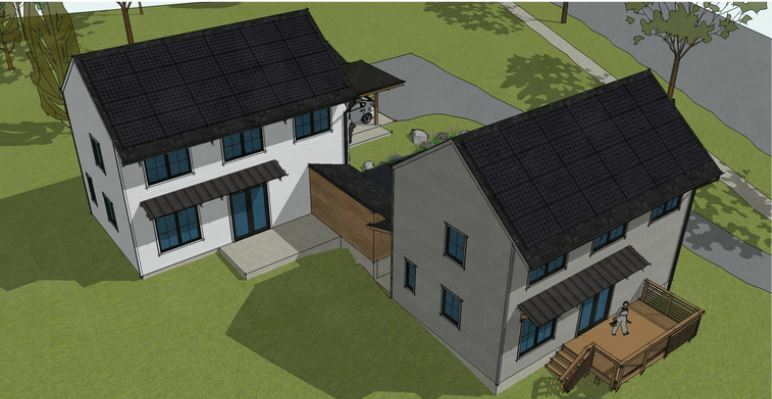 They are built to exceed U.S. Department of Energy’s Zero Energy Ready Home standards, with anticipated energy costs of $15/month and a current Home Energy Rating System (HERS) score of six. After the introductory presentation and walking tour, happy hour with drinks & appetizers will be held for all attendees at the GreenBuild Duplex. Two hours of AIA & GBCI continuing education credits are pending for this event.